Biodiesel refers to the addition of a methyl group to the aliphatic chains in vegetable oils or animal fats rendering them equivalent to the properties of dieseline. 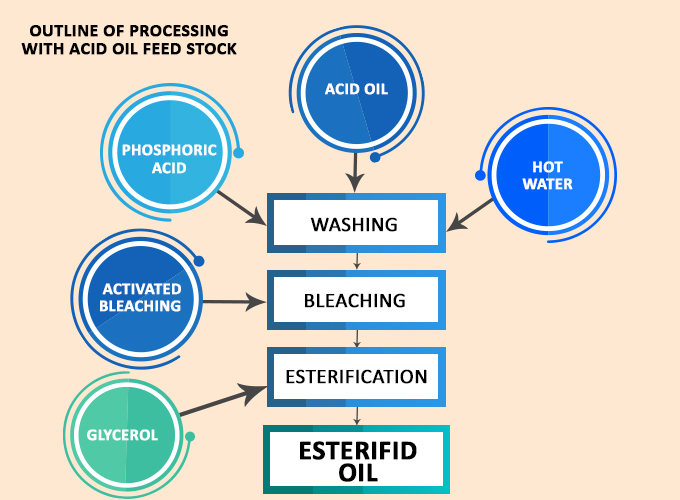 This is done by chemically reacting lipids (e.g., vegetable oil, Fatty acids, animal fat and used cooking oil) with an alcohol producing fatty acid esters. 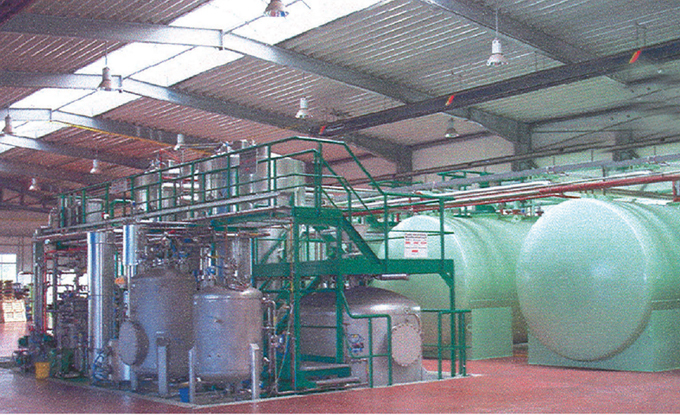 The transesterification of the raw oil will be done by using the classical alkali-process. The catalyst solution will be prepared in a separate tank: Potassium hydroxide is fed from a big-bag into the reactor via dosing system. Then methanol is added. The catalyst KOH (Potassium Hydroxide) will be prepared as approx. 12.5%- methanolic solution. Methanol, the catalyst solution and the input oil will then be mixed in the transesterification reactor. The precipitation and separation of the phases bio diesel and glycerine takes places via gravity in the following separation tank. use of heterogeneous catalysts both in the presence of Methanol. 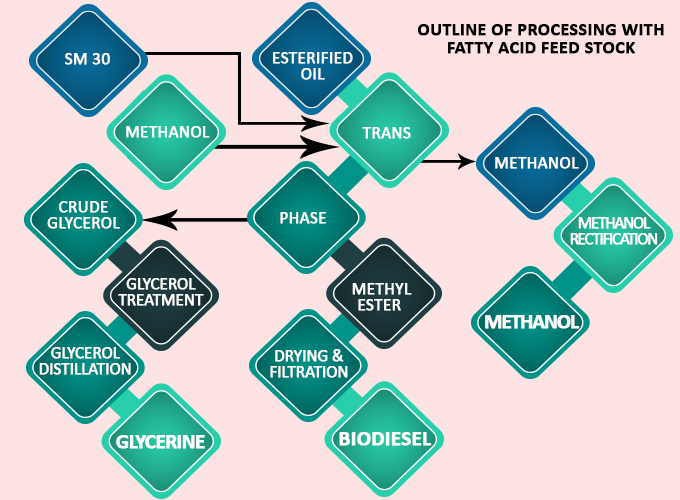 The process to be discussed today will discuss methyl esterification using the liquid phase catalysis. 1. DENSITY@15°C 860 – 900 Kg./m⊃3;. 2. VISCOSITY@40°C 3.5 – 5.0 mm⊃2;/s. 3. FLASH POINT 120°c Minimum. 4. POUR POINT Country specific. 5. ALCOHOL CONTENT 0.2% Maximum. 6. WATER 500 PPM Maximum. 8. ESTER CONTENT 96.5% Minimum. 9. ACID VALUE 0.5 Maximum. 10. 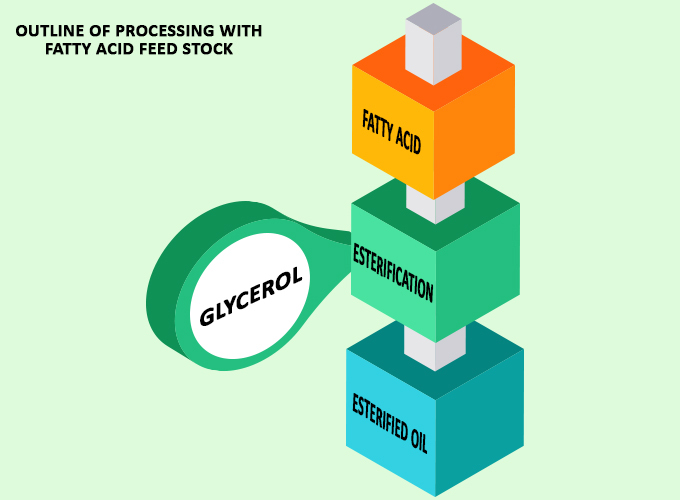 TOTAL GLYCEROL 0.25% Maximum. 11. PHOSPHORUS 10 PPM Maximum. 12. CETANE NUMBER 51 Minimum. 13. CONTAMINANTS 24 PPM Maximum.